Whether you’re a B2B or B2C company, chances are you’re investing in paid social media advertising. While this strategy can drive your business objectives, it’s important you use your budget efficiently by putting it behind the right type of ads. The question is, which types of social media advertising will give you the most bang for your buck? According to the research by an advertising measurement company Zenith, social media ad spending is supposed to reach a whopping $58 billion in 2018. That’s 21% of global ad spending – and $10 billion more compared to 2017. Chances are, you’re contributing to increasing these numbers by investing in paid ads on social media platforms. But are you putting money into ads with the highest potential to generate ROI? 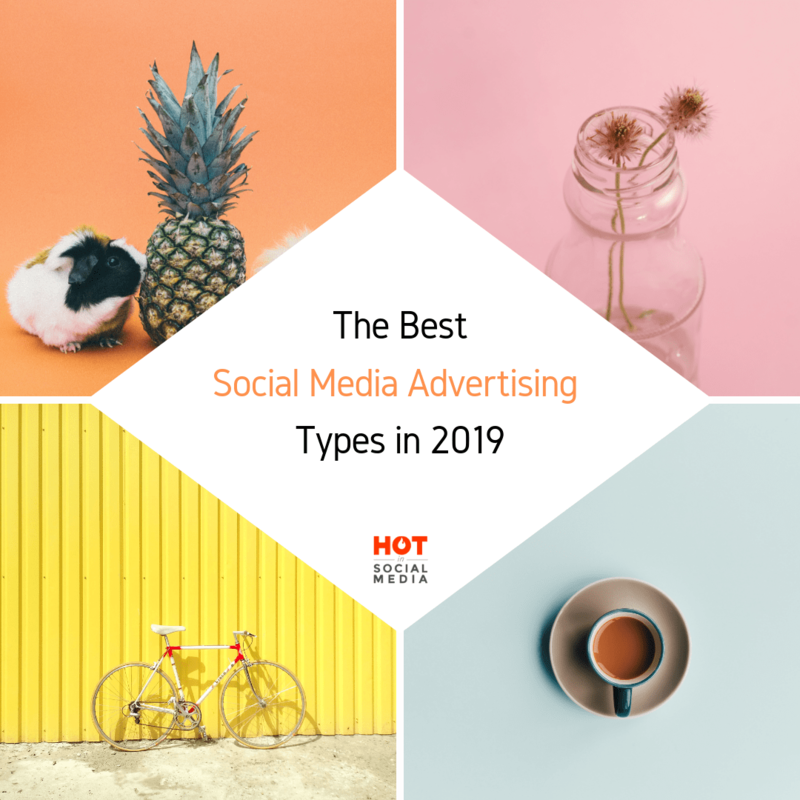 To help you answer this question, we compiled a list of super-effective types of social media advertising across Facebook, Instagram, Twitter, Pinterest, LinkedIn, and more. Take a look, and find out which ads are worth your budget! Video ads – according to a survey by an ad creation platform Promo, Facebook video ad views reached 47%, which is 6% more compared to YouTube. But high consumption ratio is not all – video ads also have a large potential to drive action. Almost 70% of the survey’s respondents claim they visit a publisher’s site very often after watching their video content – not bad at all! A study by MarketingCharts revealed that video ad completion rate is on the rise across types and devices, meaning that marketers should focus their efforts on leveraging video ads. Canvas ads – Facebook revealed that a whopping 53% of users that open a canvas ad view at least 50% of it, and the average view time per ad amounts to 31 seconds. These ultra-high numbers are a result of canvas’ unique character. The ads provide immersive experiences and are fully interactive, encouraging users to engage with them for a long time. Instagram Story ads – ever since its introduction in August 2016, the Stories format has been largely successful with Instagram users. Due to their popularity, Stories work great for getting brand exposure and are an effective social media advertising type. As much as 20% of brands’ Instagram Stories receive a direct response from the viewers. Instagram Stories ads are also a powerful social media traffic driver – more so than the Feed ads. 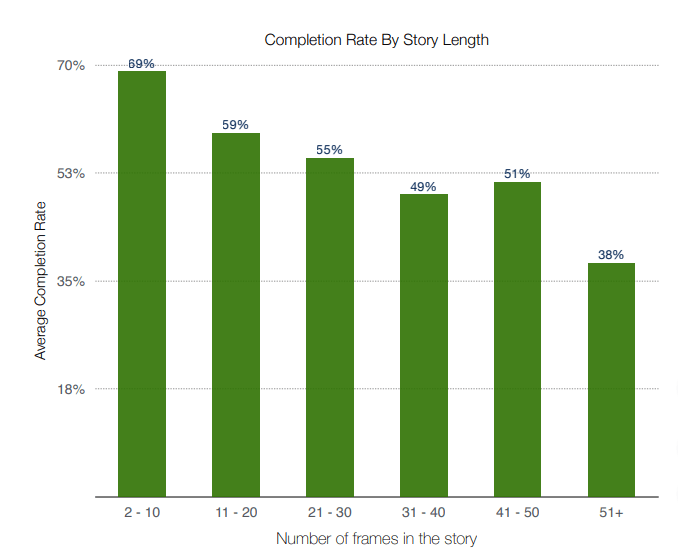 A research by a social analytics company Delmondo suggests that you keep your Instagram Stories between 2 to 10 frames for best results. Shoppable Instagram posts – with 75% of Instagram users taking action after seeing an ad post on the platform, it only makes sense for businesses to tap into Instagram’s shoppable posts. The ad format, which currently is available in the US only, opens door to increasing sales on Instagram. 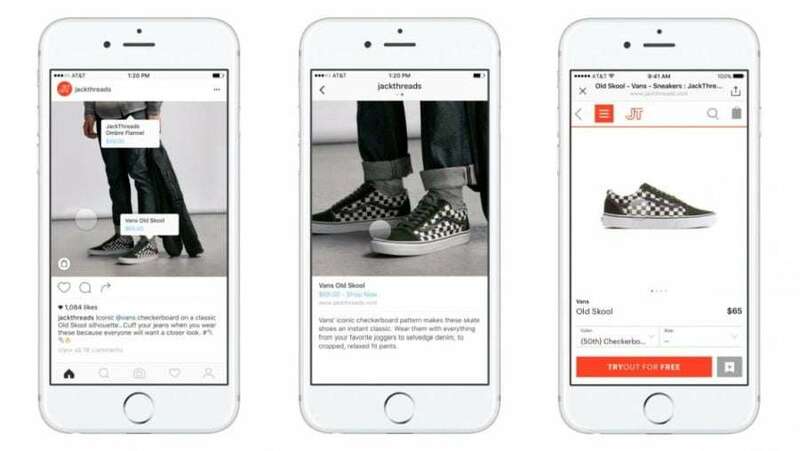 Thanks to shoppable tags, users will be able to easily learn more about the product and hit the buy button without having to leave the platform. It definitely looks like Instagram’s shoppable post will help boost brands’ e-commerce sales to a great extent, and can become one of the most effective types of social media advertising. Video ads – when it comes to advertising on Twitter, the video format is the way to go. Why? First of all, Tweets with videos are highly shareable. According to the platform, videos are 6x more likely to be retweeted than images and 3x more likely to be retweeted than GIFs. In addition, videos are viewed as non-intrusive by 67% of Twitter users. Finally, as much as 70% of marketers are confident in their ability to drive purchases with Twitter videos, meaning the format is highly successful in propelling conversions. 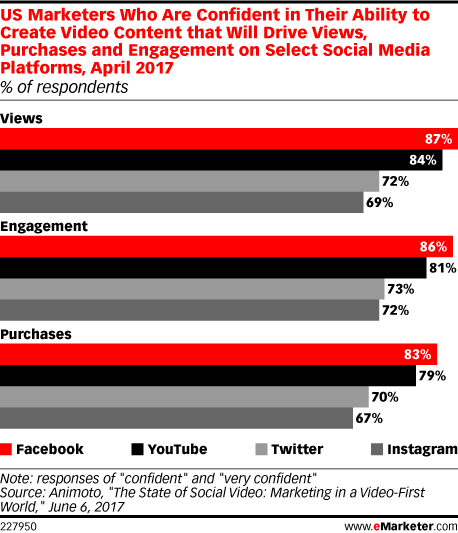 Although it’s Facebook where marketers are the most confident they can drive views, purchases, and engagement through video content, Twitter isn’t far behind. Promoted Tweets – one of the main strengths of Promoted Tweets is their seamless incorporation into the newsfeed, which makes them feel natural and non-intrusive to the users. Although some marketers complain that Promoted Tweets can be pricey (you pay per engagement), Twitters’ own data says the opposite. The platform’s research from Q1 2018 showed that the cost per ad engagement declined 28% YoY, while the ad engagements shot up by 69%. Clearly, this social media advertising type can give you good value for your money! Sponsored Content – similarly to Promoted Tweets, LinkedIn’s Sponsored Content ads appear within users’ newsfeeds. The ad format can become a major conversion driver for your business – especially if you’re a B2B company. How many conversions can you reach with this type of social media advertising? 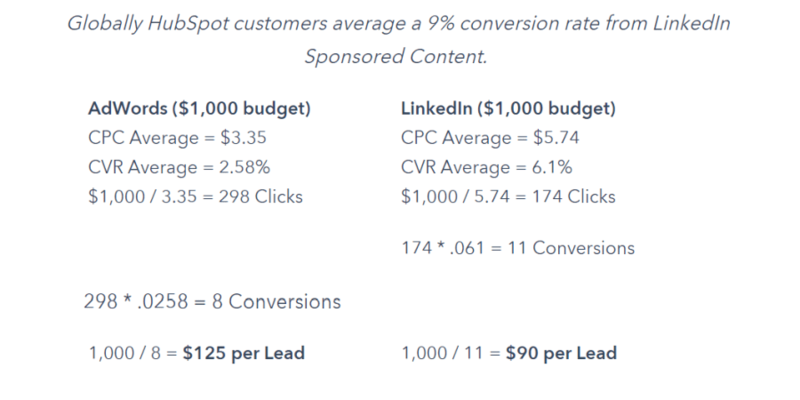 HubSpot revealed that their customers achieved, on average, a 9% conversion rate from LinkedIn Sponsored Content Ads. To give you a little bit of perspective, this number is close to the average conversion rate for ads on Facebook (9.21%), which is a go-to platform for increasing web traffic and purchases for many marketers. Bumper ads – although YouTube might not be the best platform for increasing purchases, it’s a great tool for raising brand awareness. So, if you want to promote your brand to a larger audience, invest in Bumper ads on YouTube. 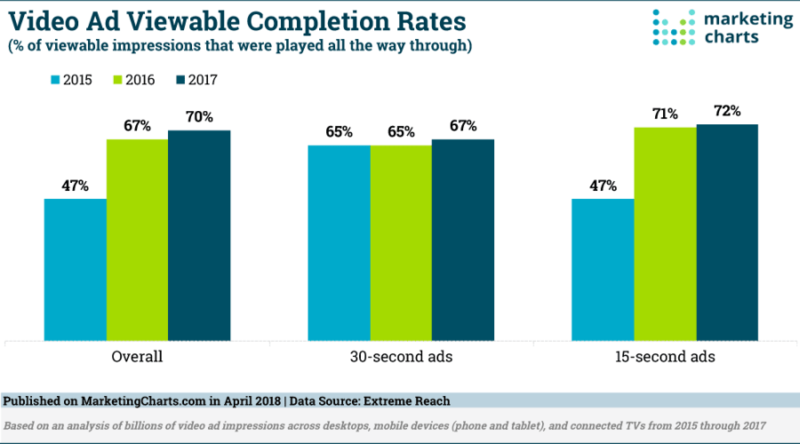 Bumper ads, which are non-skippable six-second spots played before YouTube videos, were proven to be particularly effective. In a study of 122 bumper ad campaigns, Google found that 70% drove a significant lift in brand awareness, with an average lift of 9%. The ad recall was even higher and reached over 30%. Promoted Pins – are you looking to increase your sales through social media? Then you should definitely look into putting your budget behind Promoted Pins on Pinterest. This social media advertising type can work wonders for your e-commerce business. According to Pinterest, Promoted Pins helped 61% of Pinterest users discover new products and brands. But that’s not all – as much as 50% of Pinners made a purchase after seeing a Promoted Pin. 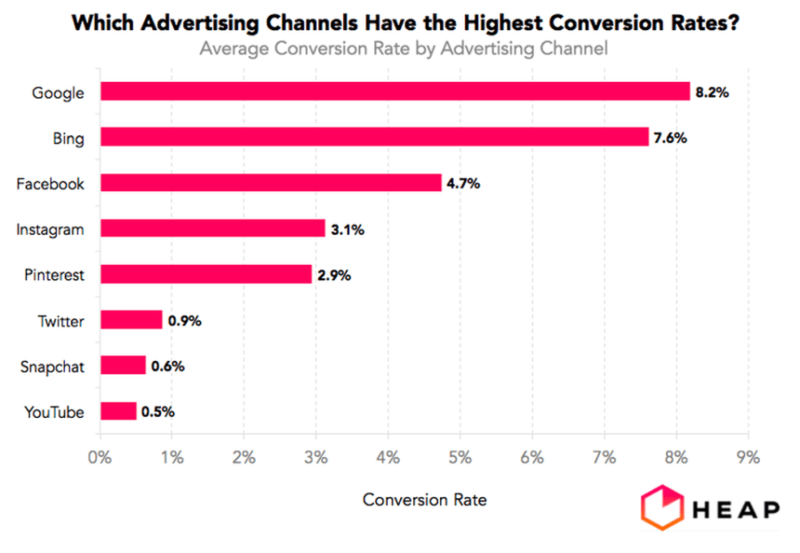 A research by an analytics company Heap revealed that Pinterest is the third best social media platform to drive conversions – right after Facebook and Instagram. On-demand Geofilters – Snapchat is known as a platform whose high-cost advertising services are geared towards big brands with sizeable social media marketing budgets. Still, there is one ad format on Snapchat that’s inexpensive but effective in bringing in results – On-demand Geofilters. 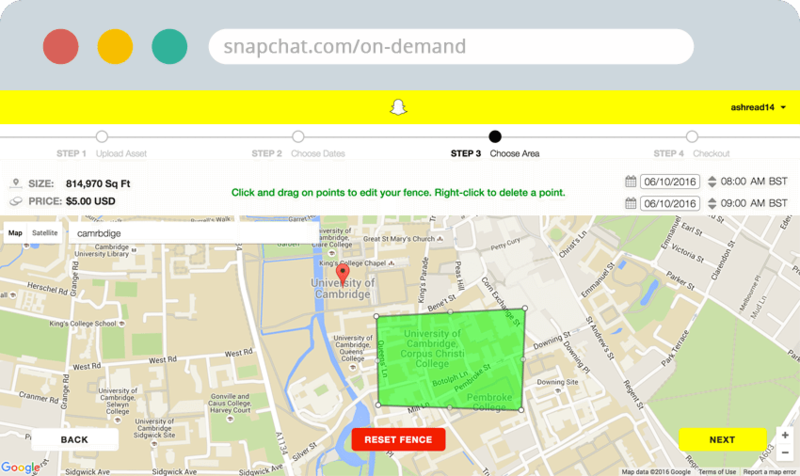 To decide where your On-demand Geofilters should be available, you need to enter your address and draw a fence around the selected area on Snapchat’s ad creation site. Despite their relatively low price, Geofilters can work great for your brand in terms of reach. 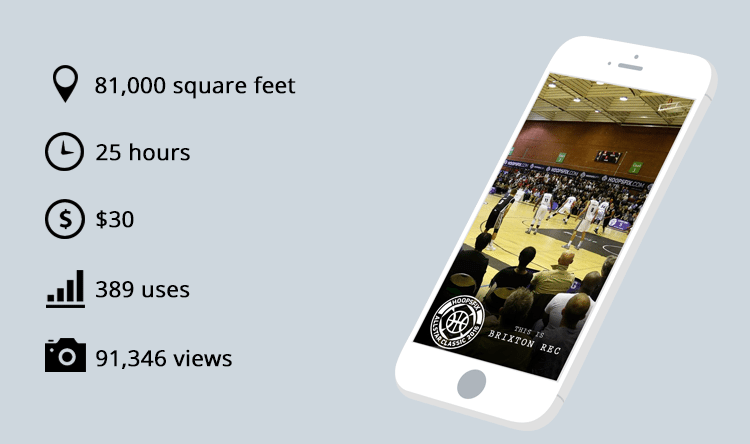 For example, The Hoopsfix All-Star Classic, a British basketball showcase, achieved over 90,000 impressions with their custom Geofilter that cost them just $30. Another great case in point is Gary Vaynerchuk who received 230,000 impressions for only around $63. The Hoopsfix All-Star Classic achieved a stellar volume of engagement and impressions using Snapchat’s On-demand Geofilters. Sponsored Posts – Tumblr’s Sponsored Posts are an amazingly effective type of social media advertising – and data confirms it. Tumblr’s Sponsored Posts are viewed as fun, engaging, and high-quality by 60% of the platform’s users who have seen the content. In addition, seeing a Sponsored Post made 70% of consumers feel more favorably towards a brand, and prompted 50% of consumers to research the advertising brand afterward. 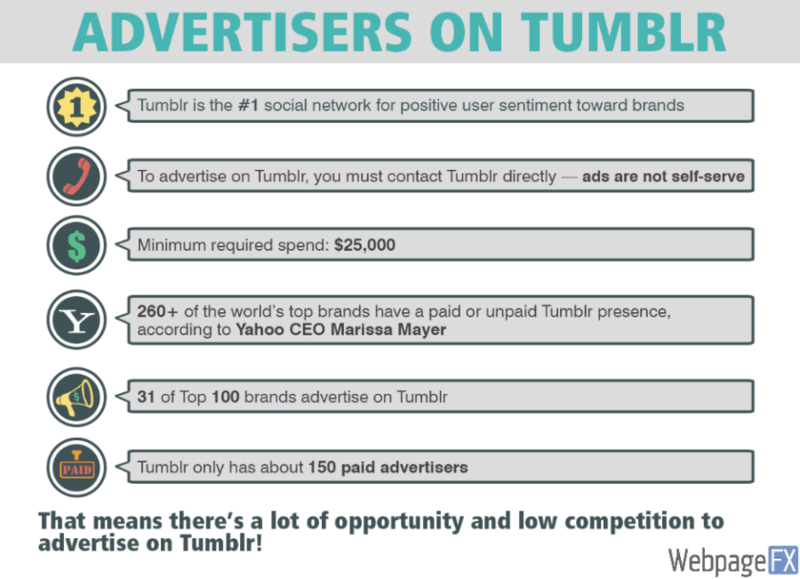 With a high positive user sentiment towards brands and a low number of advertisers, Tumblr is a perfect channel to market your business. The abundance of types of social media advertising might make it difficult to decide which ad format and platform you should bet on. After all, each channel and ad are unique in terms of character, business objectives they can drive, and price attached. That’s why it’s so important to look into the data and see what kind of ROI you can expect from leveraging different social media ads – which is something we hope this article helped you with. If you’re still not sure where to best allocate your advertising budget, let us know in the comments. We’ll be happy to help! Marta Buryan is a Content Marketing Specialist, passionate about all things digital. Her specialty is writing insightful articles on the topics of social media, B2B, and content marketing, helping businesses big and small make the most of their online presence.